When it comes to handbags for the 2015 season, women have never had it so good. The choice and quality of handbags on the market right now makes it so easy for every woman to find the bag of her dreams. These are not just designer bags – they are bags that combine glamour and style with practicality and versatility. Now you can look as good carrying your laptop around in a trendy satchel as you do carrying a stylish clutch, with a range of streamlined, elegant lines that are suitable for a variety of different occasions. With 2015 now in full swing, the time is definitely here for you to look at refreshing your handbag collection to reflect the new as well as the up and coming trends for the year. With streamlined, elegant lines in a rainbow of colours, satchels that make a real statement stunning clutches to add a touch of class to any outfit, you will find the perfect handbag for your needs from the latest 2015 collections. You can kick start 2015 in terms of your handbag collection with access to a fabulous range of stylish handbags designed to cater for every occasion and taste. Whether you are looking for something smart and savvy for work, something cool and trendy for days out or something glam and elegant for evening functions, we have the perfect handbag for your needs. With our stunning handbag lines for this year you get to benefit from excellent quality and beautiful design coupled with a great look. Take our new Pixie REID line for instance. These stylish mini satchels really look the part – with their contemporary design and streamlined silhouette they are perfect for everything from work to a girlie shopping trip. 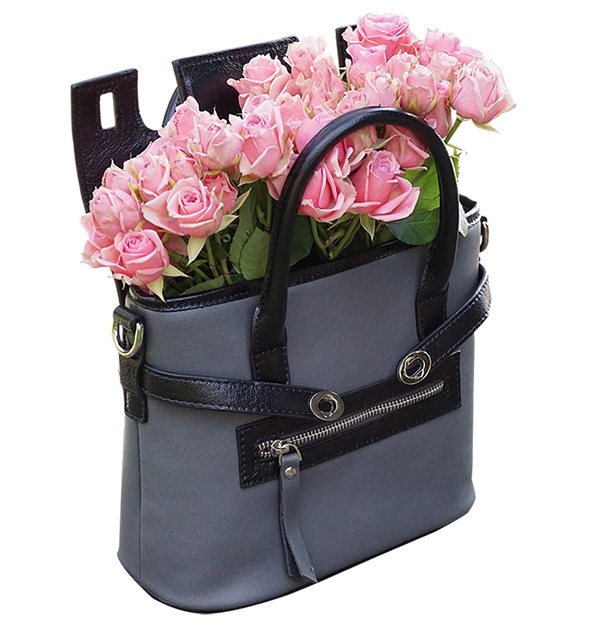 This is what we describe as the ‘best everywhere’ bag as it is not only superbly stylish but also incredibly practical. With our original Reid size you can fit in all of your daily necessities from documents and papers through to tablets and netbooks. If it’s a combination of glamour and practicality that you’re after, you won’t go far wrong with the stunning range of Milton Clutches. These beautiful envelope clutches are of the finest quality and are handcrafted from lambskin. Not only are they perfect for all types of special events and occasions but they also have plenty of room – you can even pop your iPad Mini in there should you wish to take it along with you. With this handbag line you can select from a variety of designs and colours so you will find something to suit all tastes. You can even make a fashion statement when you hit the shops with your girlfriends this year, as our French Toast tote bags will provide you with the perfect, stylish accessory to take along with you. You’ll have plenty of space in which to stash the goodies you purchase while you’re out and about and you can select from a great range of colours and designs to suit your tastes and preferences. With such versatility and style, these totes bags should definitely form part of your wardrobe for 2015. For those who are keen to embrace fashion in 2015, these handbag ranges are wardrobe essentials, as they are chic, thoughtfully designed and extremely versatile. Not only this, but the handcrafted design of these designer handbags along with the quality of the materials used to create them mean that they are meant to last, so you can continue enjoying their style and beauty as the seasons change.